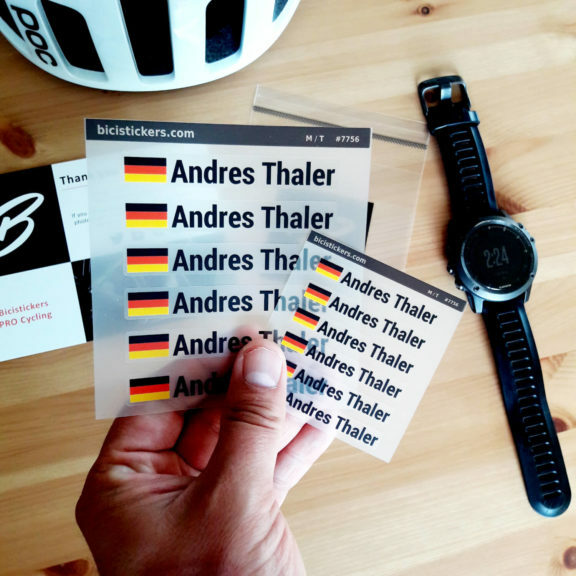 Bicistickers PRO Cycling produces custom name stickers for pro cycling teams, professional athletes and sport enthusiasts. 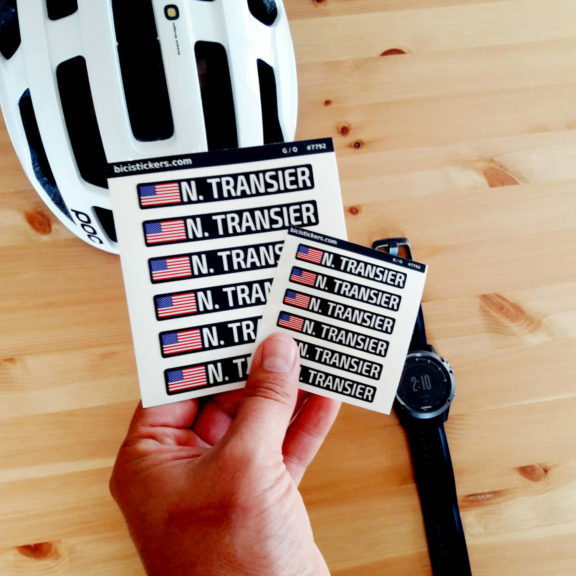 Our stickers are used not only by road cyclists and mountain bikers on their bikes and helmets but are also widely used in other sports including motorcycling, skiing, kayaking, ice hockey or rally sport. 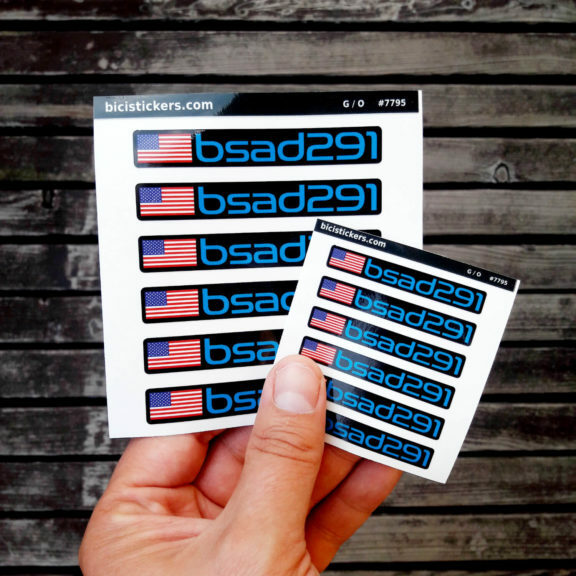 We strongly believe you will be happy with our stickers. If you are not 100% satisfied, we will be happy to offer replacement or a refund. We also offer a three year guarantee for all of our products. The actual date of delivery depends on your location and on your local postal provider. Please note that orders shipped outside the EU may be subject to regular customs duties levied by the destination country. 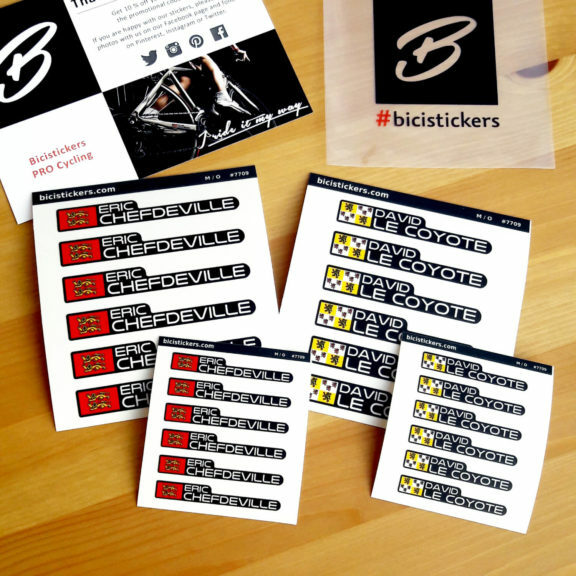 Feel free to contact us with your questions at hello@bicistickers.com. As we are a small business enterprise, we cannot afford to operate 24-7 call center (can’t pick up phones at 3 a.m., sorry). However, we strive to be highly responsive to emails and Facebook. Please be patient with us. We do our best. Thank you for your understanding. Our company is located in Prague suburb, in the Czech Republic, European Union but our stickers are shipped worldwide. 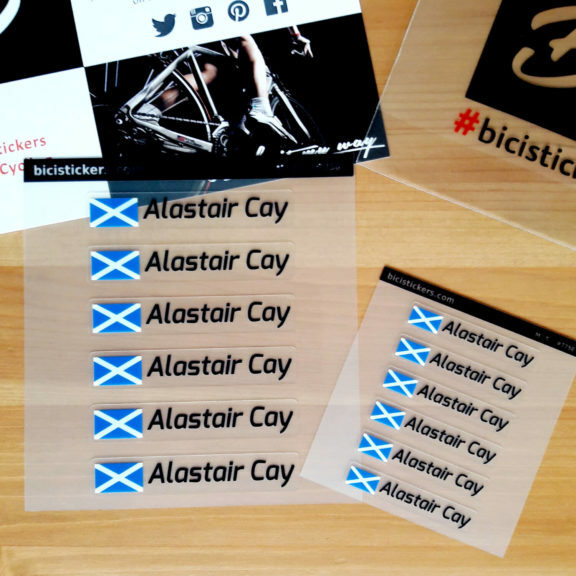 We produce a high quality bicycle name stickers for cycling enthusiasts all over the world. 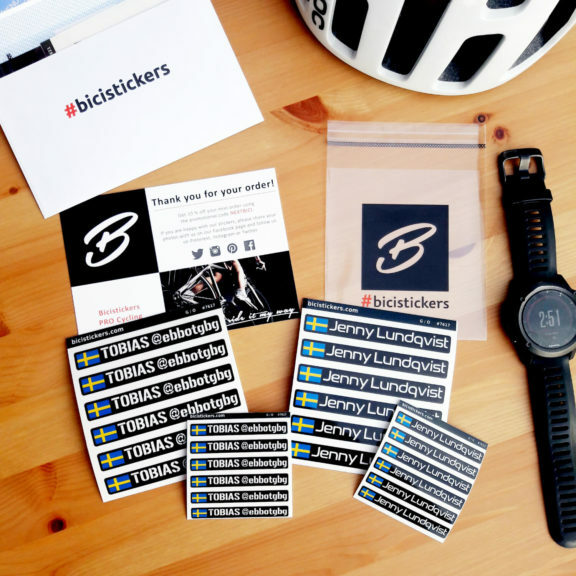 The set of stickers consists of six stickers for bike frame and six stickers for helmets. 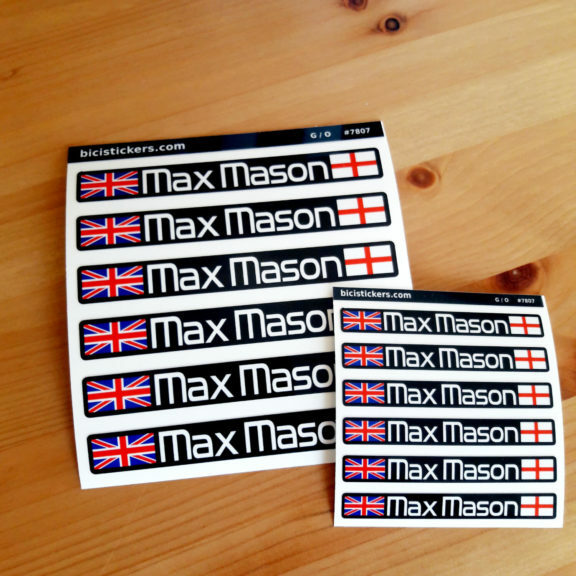 The stickers can be fully customised according to your preferences. You can select any colour, font, custom flag or logo and select also transparent background. Moreover, you have either glossy or matte finish in order to match your bike frame perfectly.